"The numbers are objects in its own right, like the atoms or molecules. Although their nature differs, they exist independently of the mind that studied them, the brains of mathematicians creating only the theoretical tools to apprehend the"
"Deciphering Hidden DNA Meta-Codes -The Great Unification & Master Code of Biology"
Jean-Claude Perez hypothesized that the redundancy of the genetic code might contain a meaning. Structure of redundancy or hidden meaning? Armed with extensive knowledge in the humanities, Jean-Claude Perez is a talented mathematician who has devoted over twenty years to understand that if life is characterized by the ability to achieve a goal, methodical decoding DNA can reveal several levels of meaning. Codex Genesis is a unique book that deserves a Fields Medal (the Nobel of mathematics) and which also is able to make us dream. The rigorous poetry serving a meaning to life? This epistemological book might as well be in store shelves philosophy, religion than math. A kind of Sherlock Holmes novel as interesting as the works of Stephen Hawking. 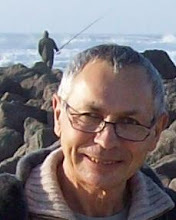 Jean-ClaudePerez is a French interdisciplinary researcher . Researcher in Artificial Intelligence and Robotics at IBM, he was a pioneer of artificial neural networks in the 1980s, he published the first two French books on Artificial Neural Networks . He primarily explores the emergence of "sub-Artificial Intelligence" such as pattern recognition based on self-organizing properties. 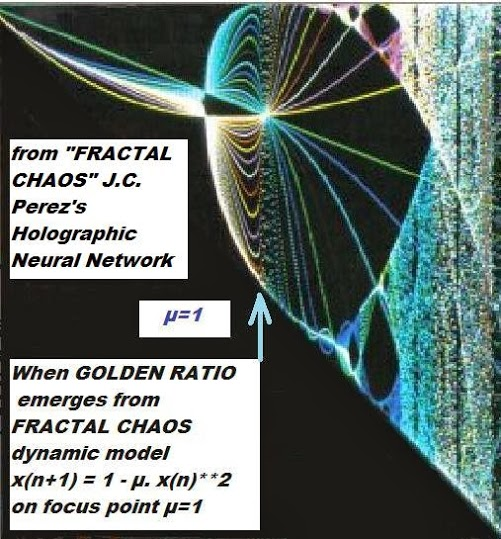 Exploiting the findings of the French mathematician Benoit Mandelbrot IBM Yortown Heights Thomas J. Watson basic research Laboratory (fractals), the Belgian Nobel Prize Ilya Prigogine (order far from equilibrium) and Chilean biologists Humberto Maturana and Francisco Varela (autopoiesis), he discovers the "Fractal Chaos " network, a real gifted holographic-like memory type providing "déjà vu" memory compressing thousands learned images in a small 3x3 Fractal Chaos neurons cells network. He discovered a remarkable attractor at the heart of its fractal: point of the famous « golden ratio » and just around a hyper-sensitive region to the proportions of consecutive Fibonacci numbers. 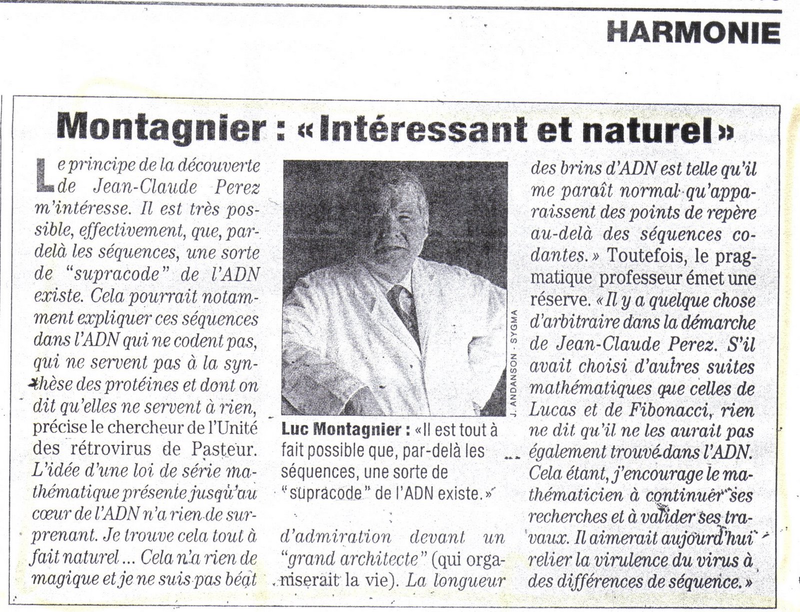 We are in 1990, Jean-Claude perez then has a famous intuition: "If we were looking for in the DNA sequences of nucleotides TCAG relative proportions as the proportions of Fibonacci? " (Eg if 89 consecutive nucleotides are divided into 34 T bases and 55 bases A, C, or G, we say that there is here a "resonance" because 34, 55 and 89 are three successive Fibonacci numbers. 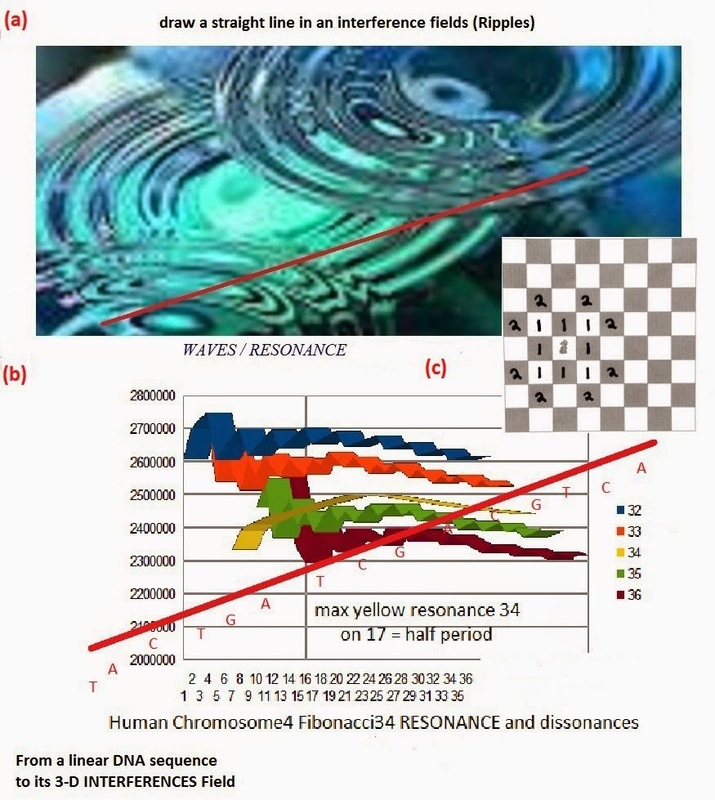 In a small genome such as the HIV AIDS 9000 nucleotides long, then we discover thousands of "resonances" the longest of which cover the 2/3 of the genome ( 6765 bases resonance as Fibonacci sequence = 0, 1, 1, 2, 3, 5, 8, 13, 21, 34, 55, 89, 144, 233, 377, 610, 987, 1597, 2584, 4181, 6765, ... / ...). In 1991, jean-Claude Perez published the first and the oldest scientific article demonstrating the proof of the golden section and Fibonacci numbers in the DNA sequences and especially in the DNA coding for genes, there is his main article on the « Supracode of DNA ». 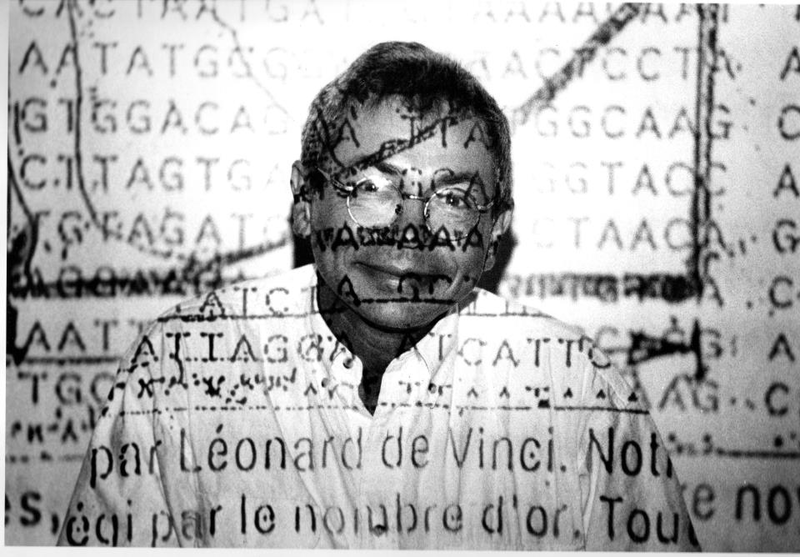 In the 25 years that followed, Jean-Claude Perez then abandoned research in Artificial Intelligence to devote himself exclusively to research digital structures controlling the DNA of genes, chromosomes, and whole genomes. 1997 : « L 'ADN décrypté » (DNA decyphered . 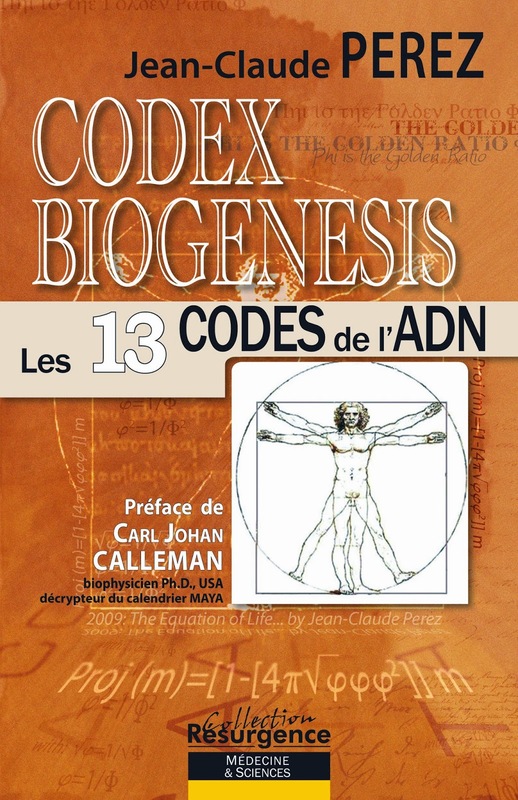 2009 : « Codex Biogenesis » . 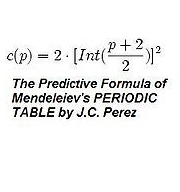 The predictiveformula of the structure of the periodic table of Elements of Dimitri Mendeleev. The « Formula for Life » unifying all organic compounds from C O N H isotopes towards whole genomes providing "The MASTER CODE of BIOLOGY", a common meta-language unifying the 3 languages of Life : DNA, RNA and Amino Acids. 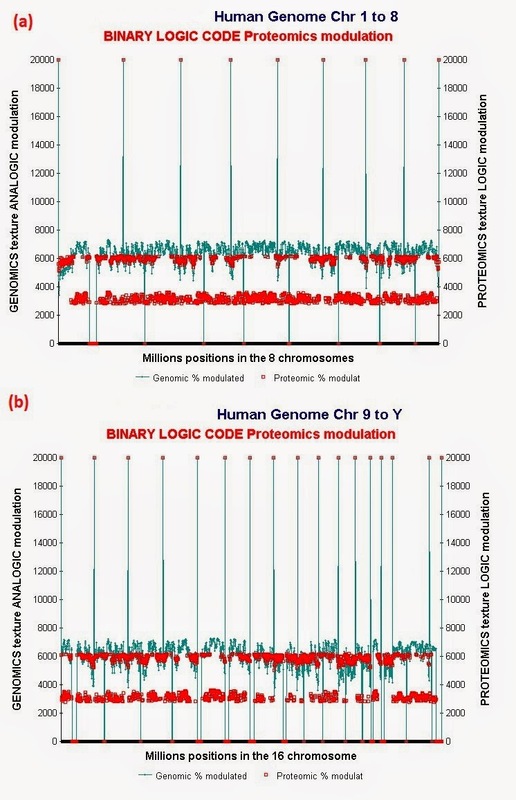 2010 : Perez J.C. Codon Populations in Single-Stranded Whole Human Genome DNA AreFractal and Fine-Tuned by the Golden Ratio 1.618,. Interdisciplinary Sciences: Computational Life Sciences, Vol. 2, No. 3, 2010, pp. 1-13. http://www.ncbi.nlm.nih.gov/pubmed/20658335 2010. 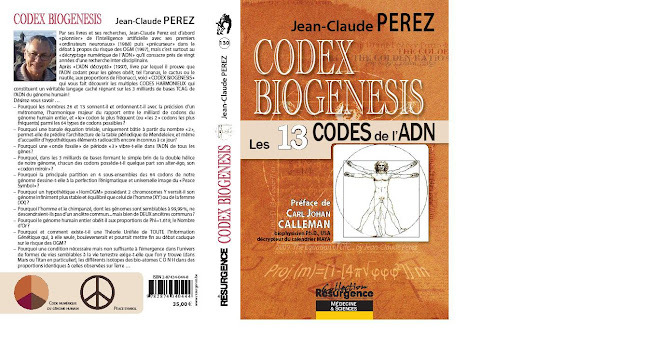 2011 : Perez J.C. Decoding Non-Coding DNA Codes: Human Genome Meta-ChromosomesArchitecture. BIT Life Sciences’ 3rd Annual World Vaccine Congress, Beijing, 23-25 March 2011. 2012 : Pellionisz A.J., Graham R., Pellionisz P.A. and Perez J.C. Recursive GenomeFunction of the Cerebellum: Geometric Unification of Neuroscience andGenomics. In: M. Manto, D. L. Et al. Eds., Handbook of the Cerebellum and Cerebellar Disorders, 2012, pp. 1381-1423. 2013 : Perez J.C. The ”3 Genomic Numbers” Discovery: How Our GenomeSingle-Stranded DNA Sequence Is “Self-Designed” as a NumericalWhole. Applied Mathematics, Vol. 4 No. 10B, 2013, pp. 37-53. doi:10.4236/am.2013.410A2004. 2013. The Great Unification & Master Code of Biology ». Finally in this long research trip, we discovered in various ways the Golden Ratio, Numerical structures, Biobits binary codes, waveforms interferences, and resonances. We have here the proof that DNA is not only Biology but also Field numbers, waves and finally... Mathematics. Foreword by Carl Johan Calleman PhD author of "The Purposeful Universe"
There are certain times in history when our world view undergoes fundamental shifts and the theories that may have previously seemed to be cut in stone are suddenly questioned and at the very least considered as inadequate. An obvious such point in time is the scientific revolution in the early 17th century when Galileo and Kepler introduced a totally new approach to gaining knowledge. Experiments and instruments were introduced and the first mathematical laws of nature were formulated resulting in Descartes philosophy of rational empiricism, which meant that theories had to corroborate the actual observation of nature. The broader philosophy underlying this may be said to have been deism, in other words the idea that the universe was like a clockwork which God had started, never intervened in and so would operate according to the laws of nature until the end of time. A second significant shift in the scientific world view may be said to have come with the introduction of the concept of evolution notably through Darwin’s theory. This was not only a reflection of a new notion of time, but also a view of our origins that excluded any role of a creative intelligence behind the workings of the universe. This atheist approach to science has since then become somewhat of a dogma and has profoundly influenced the kind of questions that scientists have been asking. While the good side of this may be that much religious bias have been removed from science, the negative aspect is that it has excluded holistic approaches to it that would explain how everything in nature is connected. Thus, only if you accept that there is a unified plan behind the existence of the universe do you have any reason to consider a holistic approach. I want to encourage the reader to consider the possibility that the work of Jean-Claude Perez belongs to a new and fundamentally different paradigm of science, one that uses the established methods of rational empiricism to elucidate significant relationships, but does not reject the possibility that our universe has an intelligent origin. This, I believe, is the kind of science that is at its forefront in our own particular time. Fascinating in this respect is Dr Perez re-contextualization of Mendeleïev’s periodic system of the elements, a typical example of how a theory attains a new meaning even though its previous formulation had been perceived as cut in stone. Hence, Perez work entices us to explore intelligent causes underlying the relationships of nature without putting in question the empirical facts that have been gathered about it. 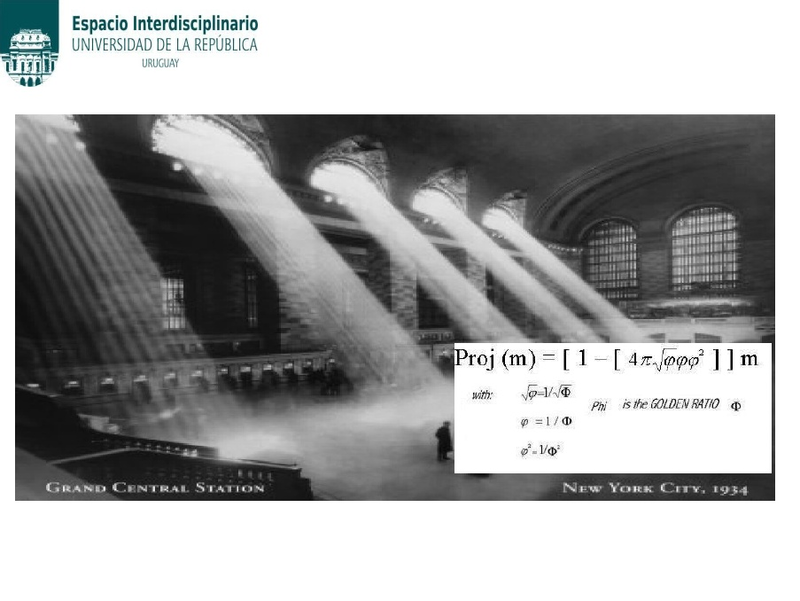 Fascinating are also Dr Perez studies of the presence of the so-called Golden Ratio in the nucleic acids. The Golden Ratio and its associated Fibonacci numbers have been known to play a role in the geometry of nature for at least 800 years, but what is fundamentally new in Perez treatise is that he studies the information content of the DNA in light of the Golden Ratio rather than merely its geometry. This leads us to various relationships pointing to an order behind the emergence of the biological organisms the study of which may now only have started. A fundamental conclusion that can be drawn from the relationships that Dr Perez has discovered is that the DNA sequences of all organisms must have emerged, or have been created, as a whole. They have in other words not emerged through random chemical reactions. I believe Dr Perez has here discovered something that simply cannot be accommodated by the previous scientific paradigm that looks upon biological evolution as a whim of nature. This discovery alone has so wide-ranging ramifications for all of biology, and especially molecular biology, that it should prompt researchers either to refute his claims or to widen the framework of their own analysis. It is through this holism that it becomes clear that Dr Perez’ work is part of a new scientific revolution, one that brings us back to a meaningful view of the universe, which has a source that we may call “intelligent”. While much of his work requires quite a degree of specialized knowledge to understand these conclusions by themselves are important enough to deserve the attention of the entire scientific community, as well as the broadly interested public. In a sense Dr Perez work thus means a return to a science, which acknowledges as meaningful some of the numerological relationships that were typical of many ancient peoples of our planet. Yet, this return to seeing a higher meaning and purpose of nature here takes place at a new level where the methodology and mathematical means of analysis of science are recognized as necessary for the new quest. Ultimately, any understanding of a higher purpose of the universe will have to rely on such reality checks and it is only if it does so that there will be a true value of this new wave of science in helping us understand what it means to be a human being. Carl Johan Calleman holds a Ph.D. in physical biology from the University of Stockholm. He has been a senior researcher at the University of Washington and has served as a cancer expert for the World Health Organization. He is also a leading expert on the Mayan Calendar and is the author of The Mayan Calendar and the Transformation of Consciousness and The Mayan Calendar. He lives in Seattle.In 2009, he will publish “The Purposeful Universe How Quantum Theory and Mayan Cosmology Explain the Origin and Evolution of Life”, Bear & Company USA (December 15, 2009 – ISBN-10 : 1591431042 ISBN-13: 978-1591431046).